Klock Werks announces a new expansion of their Flare windshield line-up. The new additions to the existing range have been engineered for the customers who ride Indian Chieftain and Indian Roadmaster machines, and introduces a new level of comfort and aerodynamic efficiency. 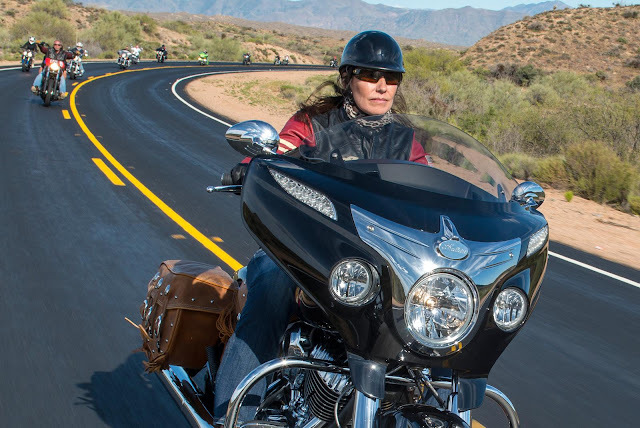 The new Flare windshields are aimed at setting a new touring comfort standard for the Chieftain and Roadmaster machines model year 2014 and newer. They are available in no less than three color versions, with the clear one being crossed off the list, at least for the moment. Customers can choose between Tint, Dark Smoke and Black, and two heights to accommodate riders of various statures. The short version is 10" high, whereas the tall model adds 2" to this. For customers in Europe and other countries, this means 25.4 cm and 30.5 cm, respectively. Installing Klock Werks' windshields is easy and only requires minimal technical skills and tools. 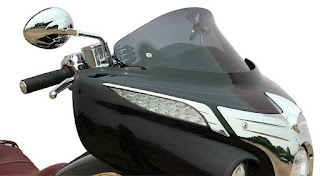 Basically, they are a direct replacement for stock Indian windscreens and will use the same mounting hardware. This aftermarket windshield is made in the USA from hard coated polycarbonate for excellent impact resistance, and maintains the full height adjustability of the original one. The lateral "hips" add stability and create additional downforce, while the "flip" in the upper section reduces turbulence in the head area. 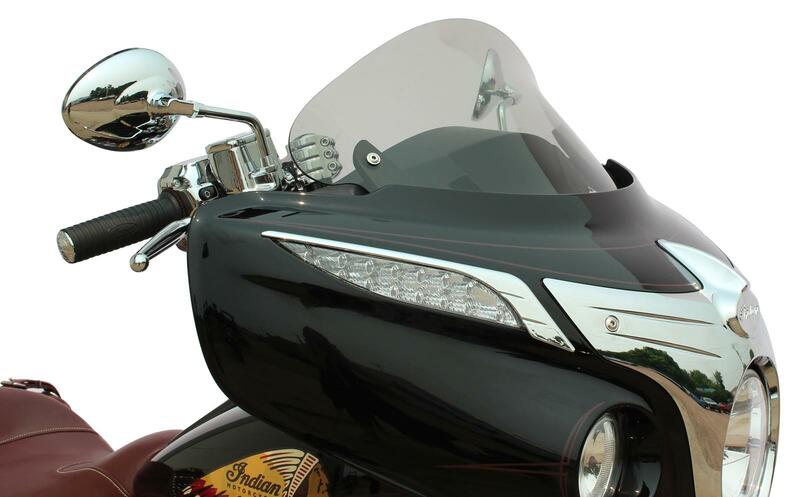 The Klock Werks Flare windshields are available for $209.95 (€188) and are probably one of the best comfort-focused upgrades for those who enjoy long hauls in the saddle of their 2014+ Indian Chieftain and Roadmaster beasts. An inconspicuous aftermarket add-on that doesn't change the look of Indian motorcycles too much, these windshields can make a massive change in the way you ride your Indian tourer and might very well show you another side of what modern-day, neo-vintage bike fun really is.